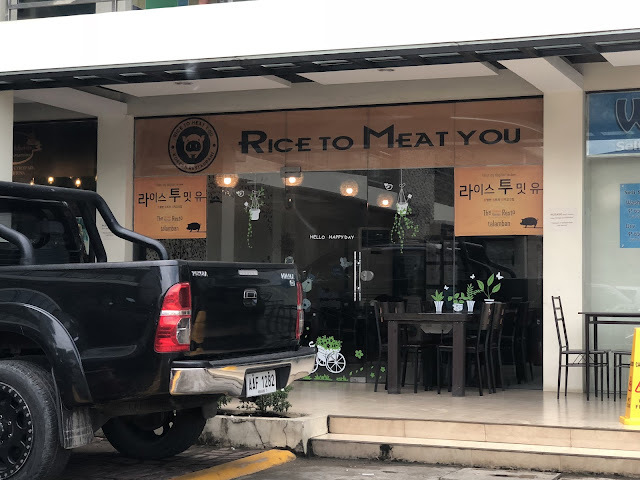 It's nice to eat you. What's the shortest distance between two points? A straight line! And that is what 1Bataan Integrated Transport System has brought to the people: a faster option (a little over an hour) to get from Manila to Bataan. From Esplanade Seaside Terminal MOA (Manila) to Port Capinpin in Orion, Bataan (and vice versa) to be exact. This service has been running for less than a year (it made its maiden voyage on December 11, 2017). The ferry is very clean, the aircondition really cold. If you watch the movie that they show during the journey, expect to walk out of the ferry freezing and wondering what happens at the end of the movie. Freezing if you sit right in front of the TV which has the AC above the TV and wondering because the journey is just a little over an hour and the movie take at least 1.5 hours. 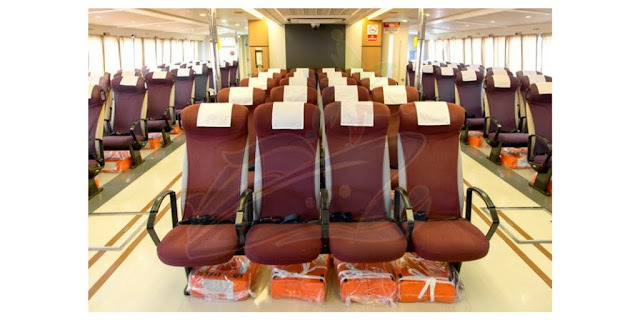 Which is what happened to us, the staff had to call our attention because we were too absorbed in the movie to notice that we were the only guests left in the ferry, everyone else had disembarked! Although taking the bus would be cheaper (about Php300), taking the ferry would be faster, traffic free, and more comfortable. The ferry ticket costs Php450 (one way) when booked online, but way more expensive when booked at the terminal at Php799 (one way). 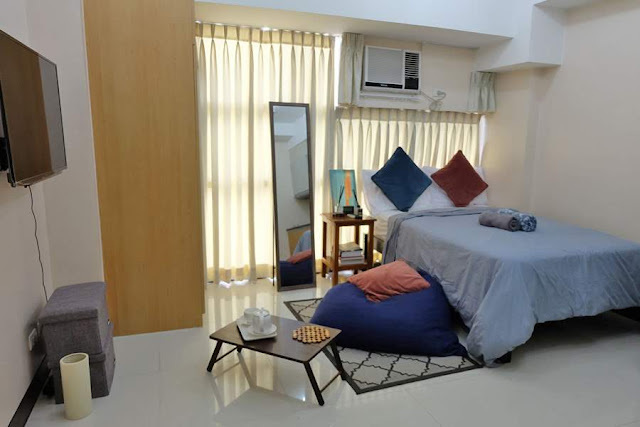 This Airbnb is a 23-square-meter studio apartment in a condominium building in Taguig. It is very clean and in a secure building. Clear information regarding rules and check in is provided upon booking. The owner may be reached by mobile phone and is very responsive. Self check in process is quick and easy. The apartment is exactly as advertised. It has an excellent airconditioner (very cold! 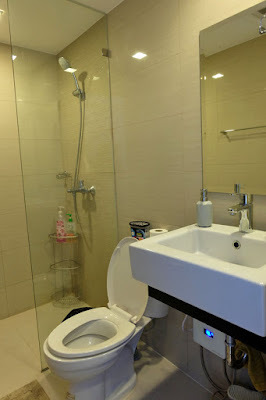 ), WiFi, TV, microwave, refrigerator, stove, water heater, plates and utensils. Towels, soap, shampoo, and toilet paper are provided. The location is also excellent—just 5 kilometers from the airport, a 3-minute walk to Venice Grand Canal Mall, a short ride to Market! Market!, Bonifacio High Street, The Mind Museum, Manila American Cemetery and Memorial, and Libingan ng mga Bayani. And on the ground floor of the building next door is a small grocery store. 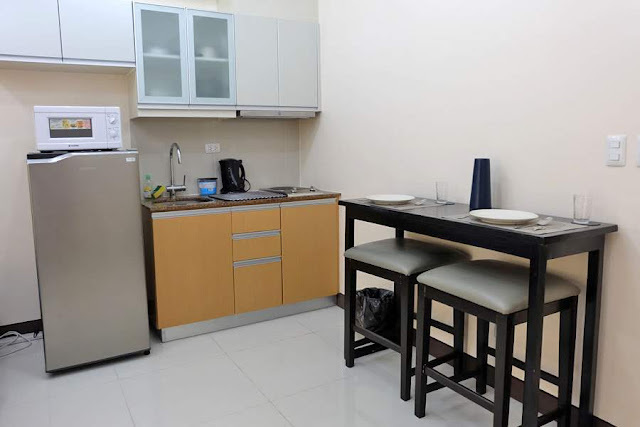 It is a bit pricey if only one person stays, but good value for 3 (about Php 2100 for up to 3 persons, including cleaning fee and service fee) to 4 persons (about Php 2400). Buena mano, which literally translates to "good hand," is a concept wherein the first sale of the day is believed to bring good sales for the rest of the day. The money received from the day's first transaction is patted on the goods for good luck. I have always thought this was a Filipino thing. But, wrong, this is also practiced in Myanmar! I was very surprised when after we bought some stuff, the lady started patting her goods with the money! (I just don't know what they call it there.) Have you observed this in other countries, too?